MOSCOW, October 27. /TASS/. Russia’s state arms exporter Rosoboronexport is supplying armaments to Syria and these supplies are no secret because they are legitimate, Rosoboronexport CEO Anatoly Isaikin said Tuesday. “I believe much has been said about Syria in recent months that the supplies to Syria are legitimate. This is not a secret as the armaments were and are coming to Syria and are intended to fight terrorists. There are no breaches of international treaties,” he said. 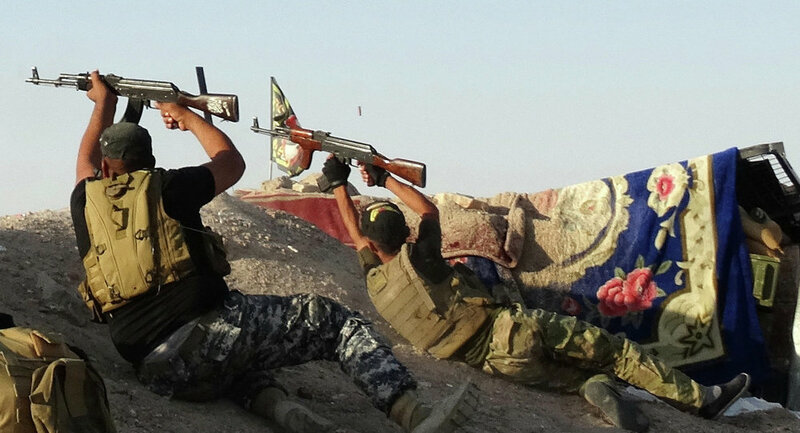 Accoding to Isaikin Russia’s arms supplies to Iraq and Syria won’t fall into the terrorists’ hands. “We’re supplying arms to Iraq only to the central government and the contracts naturally stipulate a ban on the transfer of Russian arms to other hands. We are confident that the Iraqi government firmly abides by this rule and the Syrian government also observes it,” the Rosoboronexport head said at a briefing for journalists. The situation in Ukraine will by no means affect the amount of weapons Russia provides to foreign customers, Rosoboronexport CEO Anatoly Isaikin has said. “As far as Ukraine is concerned, it goes without saying that total disruption of cooperation with that country’s manufacturers could not but influence export somewhat, but the amount of hardware being exported has not been affected,” he said. According to the official Russia will carry through its armaments export plan in 2015 despite sanctions. “The most important thing is that Rosoboronexport is not lowering its target indicators amid conditions of unfair competition from Western countries. We expect this plan mapped out for 2015 to be carried out in full,” Isaikin told a briefing for journalists. The CEO also noted that Rosoboronexport has supplied arms worth more than $115 billion to 116 countries over the last 15 years. The export portfolio of orders for today is worth $45 billion,” Isaykin told journalists at a briefing. 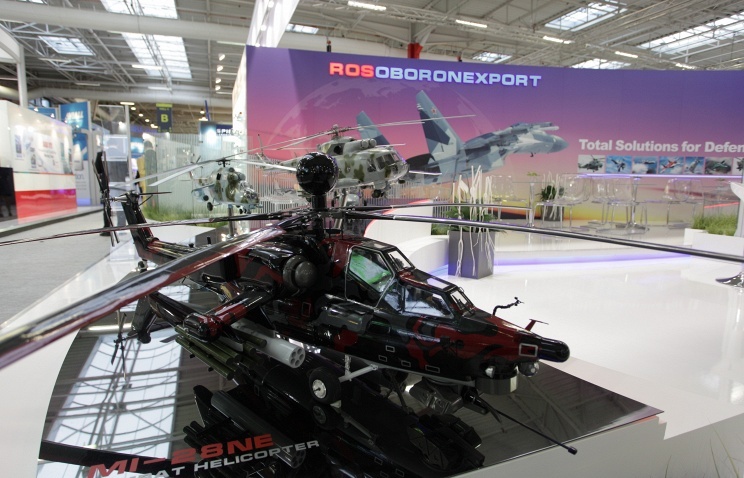 According to Isaykin, Rosoboronexport supplied $12.9 billion worth of arms in 2012, and $13.2 billion – in 2013 and 2014. Isaykin added that the share of aviation stands at 41% from all exported products, equipment for ground forces – 27%, air defense – 15%, fleet – 15%. The official also said Rosoboronexport already accepts payments from some countries in their national currencies. “The previous payment rules implied the use of the dollar or the euro. Now we have switched to settlements in national currencies with some partners. Incidentally, this procedure already works under some contracts,” Isaikin told a news briefing on Tuesday. “Over the four years we have been under US sanctions we have increased export 50%. The current sanctions follow the same pattern. Naturally we feel some problems, but settlements under our contracts are in progress. We are more flexible in our relations with partners,” he said. Russia reportedly supplies Syrian government forces with grenade launchers and armored personnel carriers. Russia supplies Syrian government forces with firearms, grenade launchers and armored personnel carriers as the country is struggling with radical ISIL militants, the Russian Kommersant daily reports citing military-technical sources. The supplies “are in accordance with international law and in line with all formalities and existing contracts [between the Russian and Syrian government],” the source told the newspaper on Thursday. 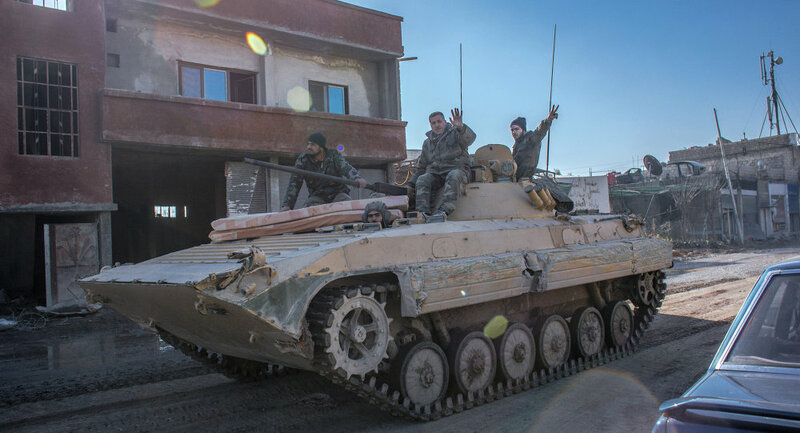 The weaponry and military hardware are needed to help the Syrian army counter the advances of ISIL radicals, who have ceased vast areas in the country, the source explained, expressing confidence that the aid will significantly contribute to anti-ISIL efforts. According to Russian President Vladimir Putin, Russia provides “considerable” support to Syria in terms of equipment, training and weaponry. On Wednesday, Russian Foreign Ministry spokeswoman Maria Zakharova stressed that Russian military specialists deployed in Syria are not participating in military operations in the conflict-torn country and are limited to an “advisory role.”Syria has been mired in civil war since 2011. Government forces loyal to Syrian President Bashar Assad are fighting against several opposition and radical Islamist militant groups, including the al-Nusra Front (Jabhat al-Nusra) and ISIL radicals. Russia has been engaged in international efforts to find a political solution to the ongoing conflict in Syria and has been providing humanitarian aid to the conflict-torn country. Last week Putin said that Moscow and Washington were discussing the creation of an international anti-terrorism coalition, but cautioned that it was too early to discuss Russia getting involved in direct military action against ISIL militants.The United States is leading an international coalition that has been conducting airstrikes against ISIL positions in Iraq and Syria since 2014. Russia has repeatedly criticized the US-led coalition for not seeking approval from the UN Security Council and the Syrian government before launching the airstrikes. The United States has also been supporting the so-called moderate Syrian opposition by providing it with training and equipment. MOSCOW, September 9. /TASS/. Russia has never hidden the fact of military-technical cooperation with Syria, Russian Foreign Ministry spokeswoman Maria Zakharova said on Wednesday. According to the spokeswoman, there are Russian military specialists in Syria. “I can confirm and reiterate that there are Russian military specialists in Syria who help to use arriving equipment,” she said. 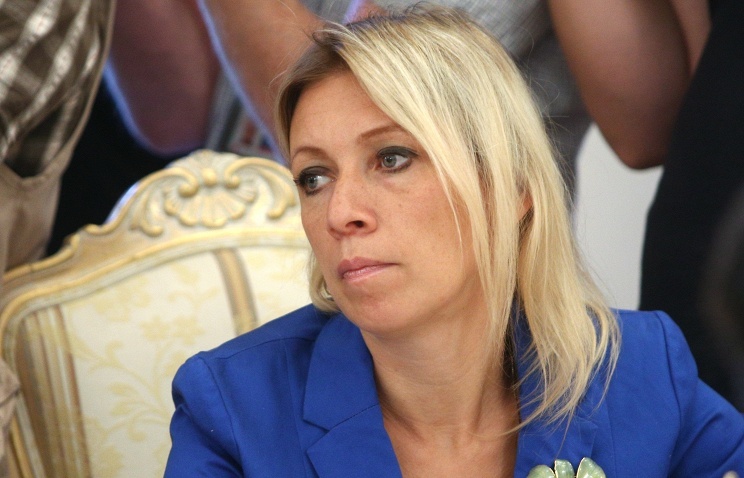 Zakharova also noted that Russia might consider extra counter-terrorism aid to Syria. “I can reiterate that if additional measures in the interests of boosting anti-terrorism efforts are required, then, undoubtedly, these issues will be additionally considered, but exclusively on the basis of international law of Russian legislature,” she said. The head of the Russian military analytic center believes that despite new challenges that are unique for country’s defense history, Russia has a number of advantages in military industry. Ruslan Pukhov, the member of the Russian Defense Ministry’s Public Advisory Board and one of the founders of the Centre for Analysis of Strategies and Technologies (CAST) based in Moscow, has been following the development of the Russian defense industry since the collapse of the USSR. He has analyzed the key military challenges for Russia’s defense industry.Russia has become the world’s second largest arms supplier after the US, and launched a huge army modernization program worth more than $350 billion, and it it can be considered a great achievement, according to Pukhov. Russia has a number of significant advantages in its military industry of the US, Pukhov said. For instance, the country has some exclusive military technologies, which have markets around the globe.In addition, Russian equipment is not as expensive as that of the US. Russian armaments could be constructed by “less sophisticated machines” that will make production cheaper. The other advantage is the fact Russian arms are “very user-friendly,” allowing people without specific education and skills to operate them. “US fighter aircraft look like Swiss watches, but Russian fighters look like tanks. Would you prefer to fight with a tank or a Swiss watch?” – Pukhov joked. Suspension of cooperation with the West prompted Russia to launch an import substitution program. The military equipment and arms import substitution plan was finalized in December 2014. Russia is currently undergoing a $325-billion rearmament program for a 70-percent modernization increase in its military’s weaponry by 2020. Russian-made weapons are most efficient in fighting ISIL terrorists, Iraqi Defense Minister Khaled al-Obeidi said on Friday. “The war we are waging is not a traditional one. We are building our armed forces in peacetime… Our enemy is changing its tactic every month, every day and we need adequate weapons to respond to this,” RT Arabic quoted the Iraqi minister as saying during an ongoing visit to Moscow.“In the battles we are fighting now Russian weapons have proved themselves as the very best. I know that the Americans can’t supply us with such weapons,” he added. Khaled al-Obeidi said that the Americans are not very good when there is “a war of attrition” going on where Iraq needs large amounts of military supplies. He also mentioned Russia’s promise to supply the Iraqis with whatever weapons and other military hardware it could possibly find in its arsenals. The minister praised the work done by the joint and hailed Moscow’s readiness to provide all-round assistance to his country. The helicopters due to be delivered are perfectly equipped for search and rescue operations, the Serbian defense minister said. Serbia will buy four military helicopters from Russia and Germany in the near future, the country’s Defense Minister Bratislav Gasic said Thursday.”We are approaching the final stage of the purchase of two Russian and two German military helicopters. The first delivery [of the helicopters] is expected soon,” Gasic said in an interview with Tanjug news agency. According to the minister, the helicopters that are due to be delivered have excellent performance capabilities and are perfectly equipped for carrying out search and rescue operations, even at night. Gasic specified that the purchase of the first two helicopters was planned for 2015 with two more to be bought in 2016, adding that their procurement was a priority for the Serbian Army.Commenting on the possible renewal of the country’s fighter jet fleet, he said such a move would require huge sums of money. Belgrade is also currently involved in negotiations on the purchase of a transport aircraft from Airbus, a French-based aircraft manufacturer. Former UK ambassador to Russia Sir Andrew Wood says UK may be compelled to provide Ukraine with lethal weapons, if its continues to perceive a threat from Russia. WASHINGTON (Sputnik), Leandra Bernstein – The United Kingdom (UK) may be compelled to provide Ukraine with lethal weapons, if its continues to perceive a threat from Russia, former UK ambassador to Russia Sir Andrew Wood told Sputnik. “I think we [the UK] probably will be driven to that if Russia continues its rather aggressive policies in Ukraine,” Wood said on Tuesday of providing defensive weapons to Ukraine. The UK, the United States and Canada have each provided the Ukrainian military with training, advisors and limited military hardware. The White House has so far been reluctant to provide lethal weapons to Ukraine, despite intense pressure from the US Congress. NATO allies have discussed providing weapons for Ukraine to defend itself against alleged Russian aggression. Russian officials have denied military involvement in Ukraine, and have insisted that the conflict in Ukraine be resolved diplomatically. Other NATO member states, including Germany and Italy, have opposed flooding Ukraine with weapons, arguing it would fuel the ongoing conflict.